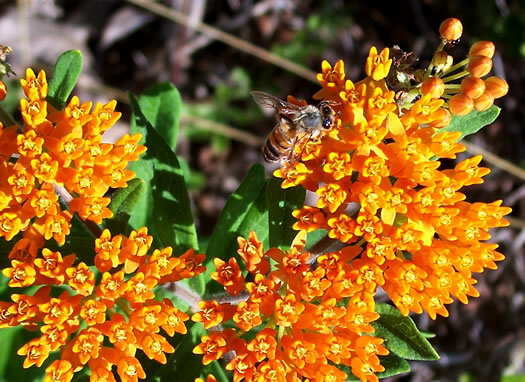 All About South Carolina Wildflowers p107? 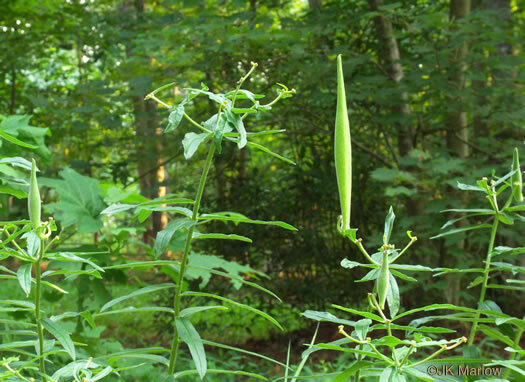 Great Smoky Mountains Wildflowers p092? 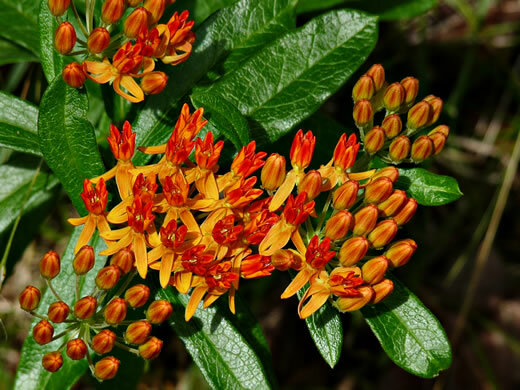 Wildflowers of the Carolina Lowcountry p149? 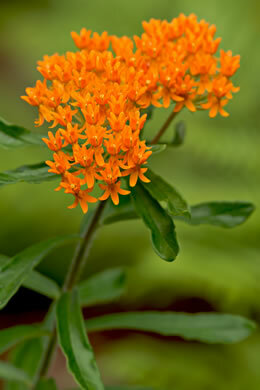 Wild Flowers of NC, 1st edition p152? 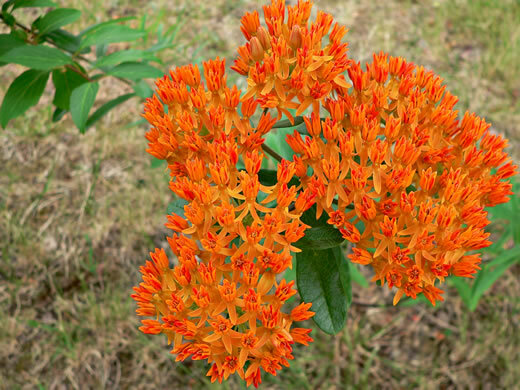 Wild Flowers of NC, 2nd edition p202? 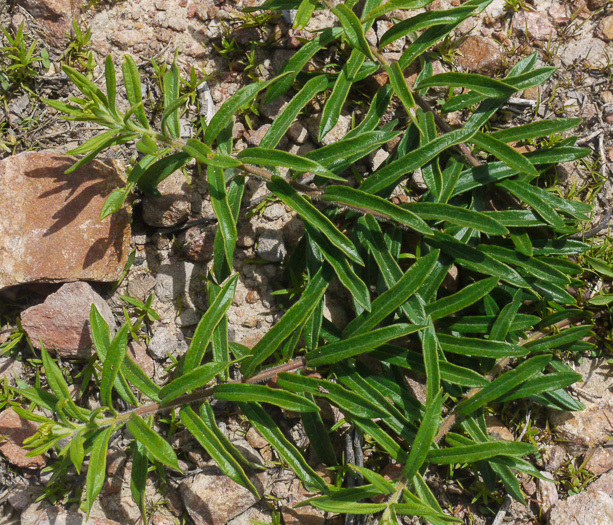 Wildflowers of the Southern Mountains p127? 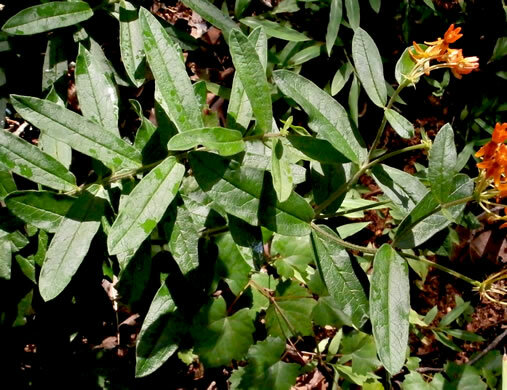 Leaves alternate and numerous, per Forest Plants of the Southeast and Their Wildlife Uses. 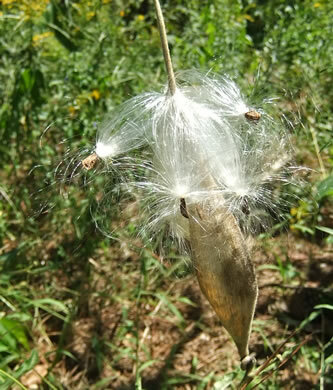 Plant is rough-hairy throughout, per Guide to the Wildflowers of SC. 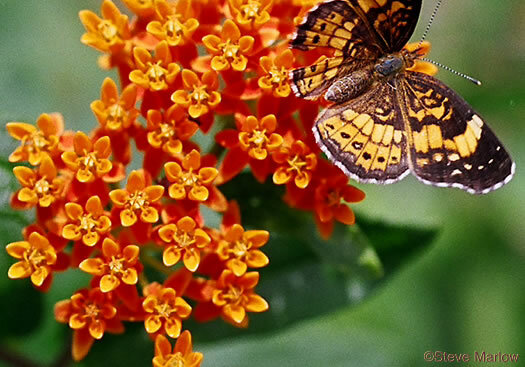 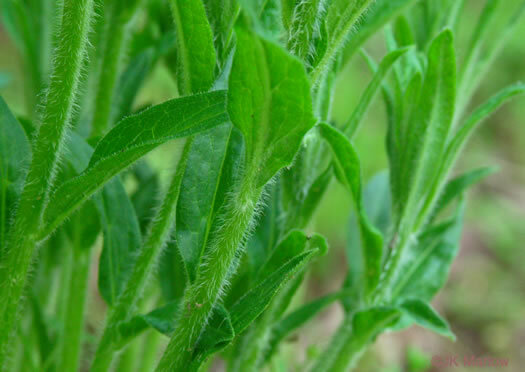 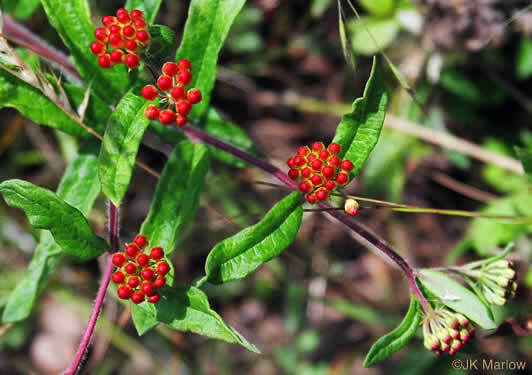 Leaves abundant, linear to elliptic, obovate, oblanceolate or hastate, per Wildflowers of the Eastern United States. 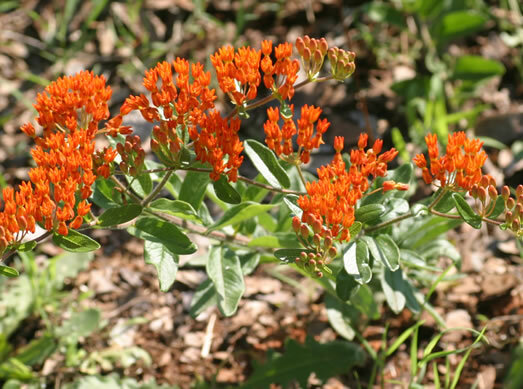 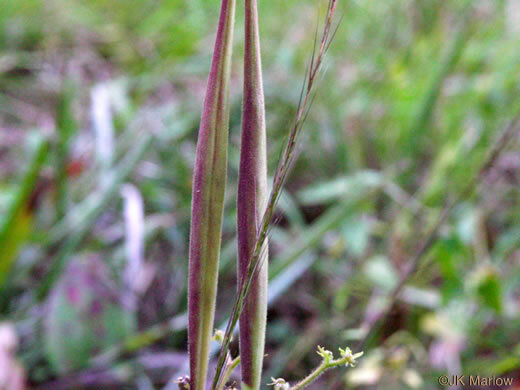 Follicles erect, 8-15 cm long and 1-1.5 cm broad, per Vascular Flora of the Carolinas. 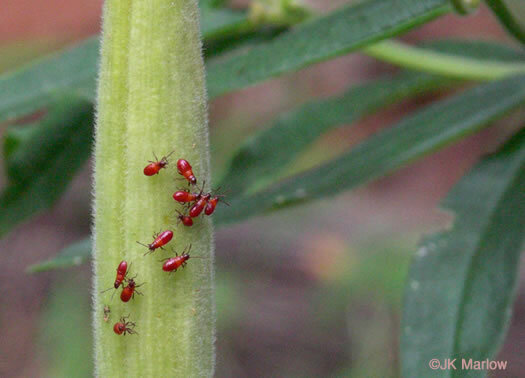 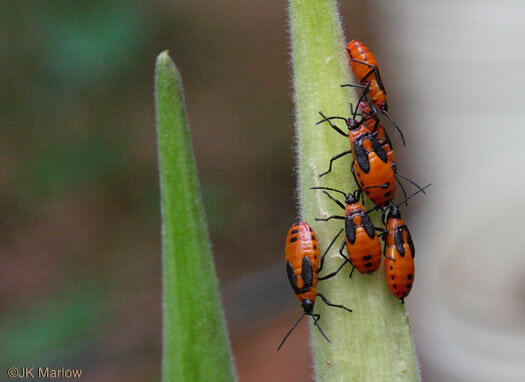 At first glance, early instar Milkweed Bug nymphs look like red aphids, per Milkweeds, Monarchs and More by Rea, Oberhauser, and Quinn. 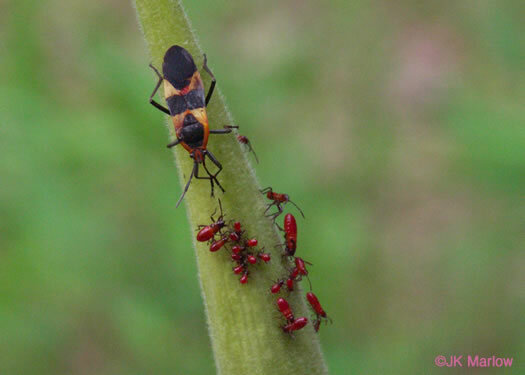 Markings on Large Milkweed Bug (Oncopeltus fasciatus) form a black band, per Milkweeds, Monarchs and More by Rea, Oberhauser, and Quinn. 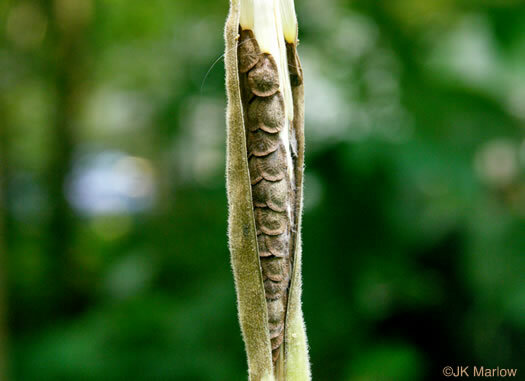 Erect boat-shaped pod splits on one side to release many plume-tufted seeds, per Forest Plants of the Southeast and Their Wildlife Uses. 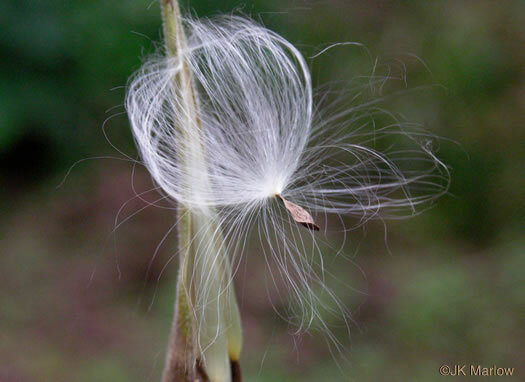 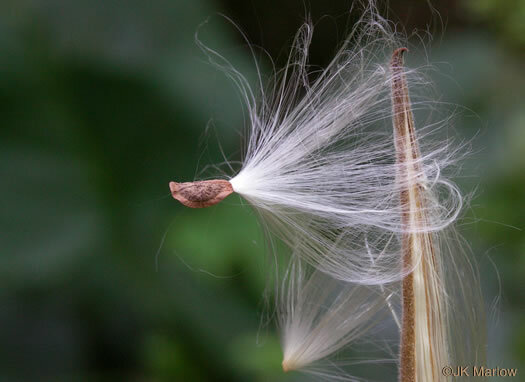 Seeds with feathery parachute-like structures float on the slightest breeze, per Wildflowers & Plant Communities of the Southern Appalachian Mountains and Piedmont. 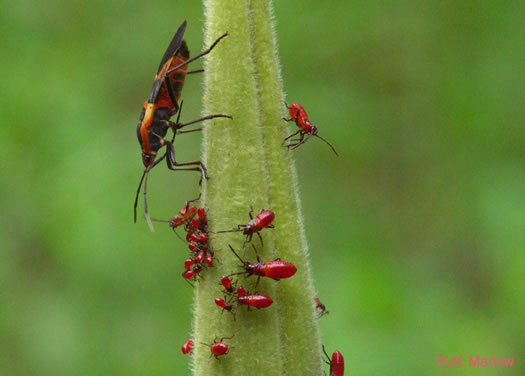 Milkweed Bug nymphs eat Milkweed plant matter, seeds and nectar, per Milkweeds, Monarchs and More by Rea, Oberhauser, and Quinn. 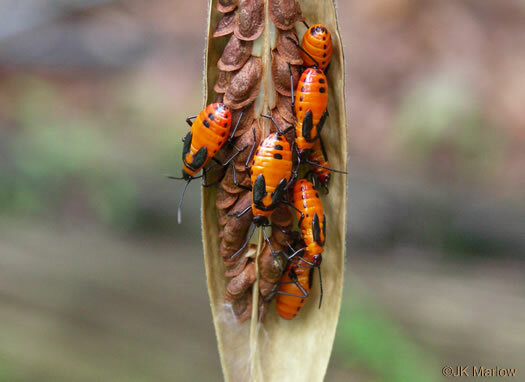 Milkweed Bug nymphs congregating on a Milkweed pod. 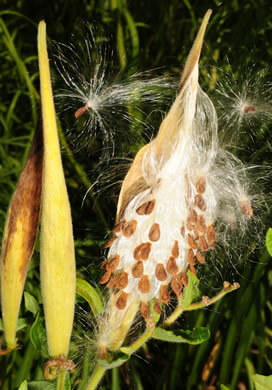 Seed pods are 4-5" long and look like elongated footballs held upright, per All About South Carolina Wildflowers.